We’re excited to launch our new series of team member profiles. Meet the team that works hard to help you protect your team and your organization with HR Acuity. You may not have seen Lisa House’s face before, but if you’re an HR Acuity client, chances are you’ve heard her voice. 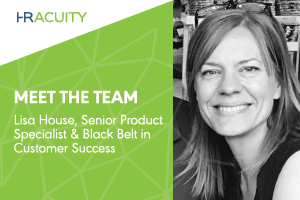 As Senior Product Specialist, Lisa works regularly with customers to understand their needs and requirements to drive new product development – and she’s also the narrator behind many of the videos you see in the Support Center. Behind that even voice is a lively, curious mind – and a black belt in Taekwondo, the Korean martial art. In fact, it’s at the Taekwondo studio where Lisa’s history with HR Acuity began more than a decade ago. One of Lisa’s fellow self-defense partners was Deb Muller, an HR executive and workplace investigator who had just recently started a business called (can you guess?) HR Acuity. Lisa and Deb hit it off beyond kicking and sparring and stayed in touch outside the gym, having lunch every few months. That day arrived in 2012. HR Acuity’s employee relations technology business was starting to grow, and CEO Deb needed a right-hand person. Lisa joined as Employee #3, ready to expand the company’s mission by handling customer service, product development and almost anything else Deb could throw her way. Lisa recalls those early days with fondness. She had come back to the workforce after time off to raise her three children, and working directly with the CEO to build a business was a fantastic opportunity for a natural puzzle-solver. She had already worked in process flow design and customer service for one of the world’s best-known luxury retailers, so it was also a chance to build on her experience while expanding her industry knowledge. Seven years later, the company is more than ten times bigger, and Lisa is still handling dozens of questions that get thrown her way daily. She works directly with clients on everything from building detailed reporting and analytics requirements to her favorite aspect of the role -- collaborating with customers and the IT team to design and create new features. “I keep screen shots and I can see the system has developed over time to be so much more user friendly,” she says. One other thing that Lisa likes: HR Acuity. Thanks for all you do for HR Acuity, Lisa! We wish you a long summer of mulch, extra innings and baking – and maybe even some golden point Taekwondo rounds. 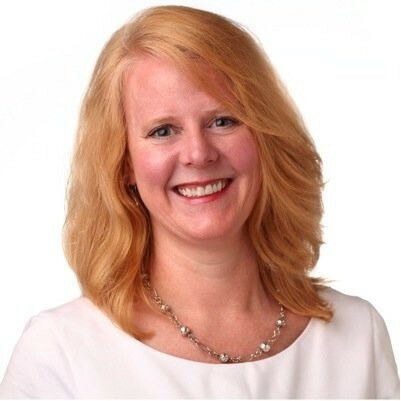 Pat McParland is the VP of Marketing at HR Acuity, a technology solution that combines documentation, process, and human expertise so organizations can meet the challenge of managing employee relations in the modern world. Be proactive. Manage risk. Create a safer workplace.